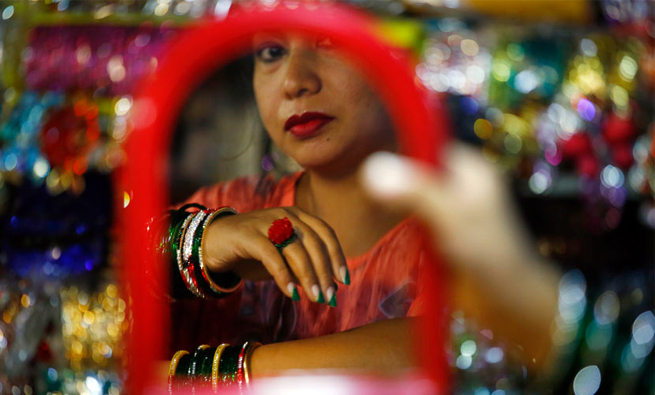 With the start of the holy month of Shrawan, Kathmandu’s streets are swarming with excited women and girls buying green and yellow bangles, materials to apply henna tattoo and beads. Devotees mark the sacred month by wearing special clothes and adorning their bodies, and sales of festival paraphernalia soar this time of the year. “We see the highest sales during the start of the festive season in Shrawan,” said Alsha Prajapati, a cosmetics shop owner at Asan. “More than 40 percent of our annual sales happen during the months of Shrawan, Bhadra and Ashwin.” According to Prajapati, prices of glass bangles range from Rs30 per dozen to Rs.300 per dozen while metal bangles cost from Rs.150 per dozen to Rs.1,000 per dozen. “The practice of giving bangles and beads as gifts has also developed in recent years result- ing in higher sales,” said Prajapati. Plastic and metal bangles cost more than glass bangles as they are more durable. This has led to an increase in demand for plastic and metal bangles in recent years. Likewise, sales of beads have also taken off. Wearing green and yellow beads is synonymous with the arrival of Shrawan for Hindu women. Prices start at Rs.50. Also sales of Tilhari and Pote rises in this month. Hindu devotees in Nepal cele- brate Shrawan as the month of Lord Shiva and observe the tradi- tion of wearing green bangles, henna tattoos and necklaces. Women and girls of different age groups can be seen on the streets decked out in festival finery. According to Prajapati, women of all age groups throng the bazaar to buy bangles and other items. “Wearing bangles and henna tattoos is fun and adds a fashion- able twist to everyday wear,” said Rishu Basnet, a student. Nepali womens paint mehendi in their hands during the month of Shrawan. It costs from Rs.200 to Rs.1000, provides sufficient revenue for cosmetic owners. Women are benefited by their own capability, somewhat relates to women empowerment. 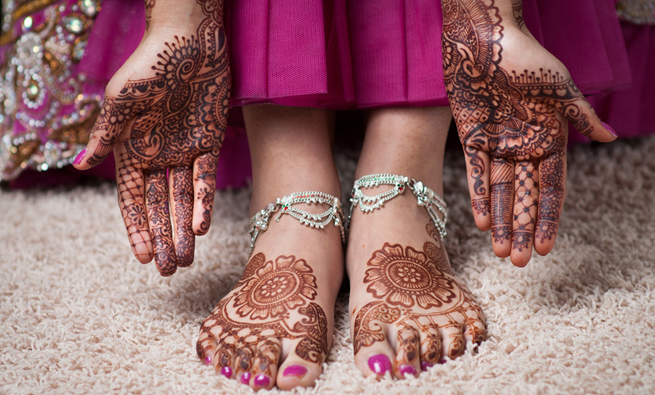 “The beautiful henna tinges are trendy. Moreover, the month of Shrawan is believed to bring good fortune to those who wear henna tattoos.” Henna artists have set up mini stalls on the busy streets of Kathmandu like New Road, Sundhara, Asan and Lagankhel, among other places. 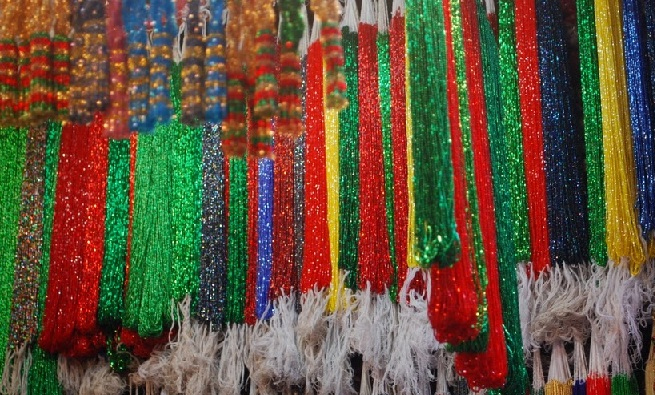 According to traders, most of the bangles, beads and henna kits are imported from Birgunj and other districts of Terai.